3 days of age. Believe it or not, we kept them in our spare bathroom, how bad could it be, they were little. 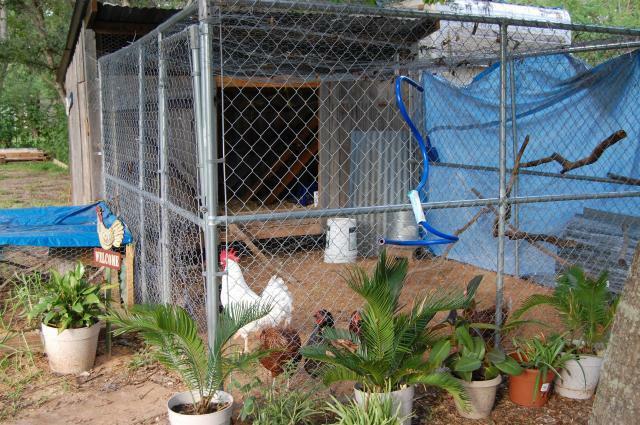 Hurricane Ike hit us in Sept. 08 we collected around town and saved, decided to put it to some use and made a coop and used a dog kennel that we weren't using. I guess it didn't help that I ended up with some Gorgeous Hens and a Handsome Roo! !